Seattle, WA - ARB 4x4 Accessories / -- The exciting release of the newest model Jeep Wrangler in late 2006 has had aftermarket accessories manufacturers scrambling to develop new products and ARB’s product line has started to arrive, beginning with a new style Rockbar, winch compatible front bumper and an all new matching ARB rear bumper. For this new model Jeep, ARB has deviated from its traditional Deluxe Bull Bar and created the Rockbar, which boasts the famed ARB engineering in a high-clearance bar. This smaller bumper features an improved approach angle, a tighter fit to the frame and highly tapered wing sections to allow greater clearance for over sized tires. Incorporated recovery points, Hi-Lift jacking points and removable brackets for auxiliary lights maintain the functionality of this bumper. 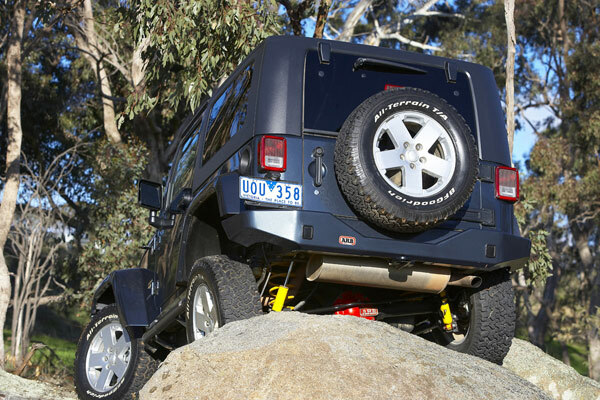 Designed to fit Warn 6 – 9500lb, low mount, 9.5Ti and the new Warn PowerPlant winch models, the ARB Rockbar will accommodate all of your recovery needs. To meet the needs for rear protection on the new Jeep JK, ARB has also released a new rear bumper, skillfully engineered to match the ARB Rockbar. This full replacement rear bumper adds protection for the rear body panels and has been designed to work with the OE towing package and the OE recovery points. Made to accommodate up to a 35” tire and with a net gain of only 40lbs, this rear bumper is an ideal way to complete the look of your ARB’d rig. If you happen to be a traditionalist and love our Deluxe Bull Bar style bumper, you are also in luck as the standard air-bag compatible, five-fold wing design model is expected to hit store shelves this fall. 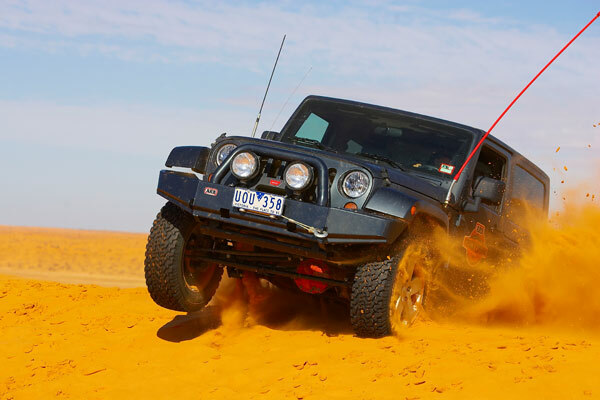 All ARB Jeep JK products are currently available through any of ARB’s 1400 distributors nationwide. Visit http://www.arbusa.com/dealers/index.php for a dealer near you.